I need a bigger marker. 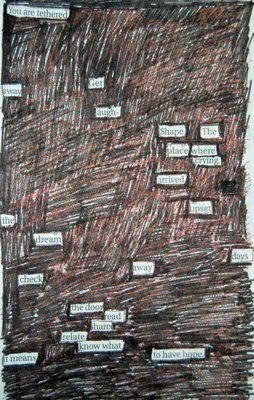 I wasn’t fully prepared for International Newspaper Blackout Poetry Month (initiated and declared by leading word-scratcher Austin Kleon) but I’m diving in still. As part of National Poetry Month, Kleon is urging us to get our hands dirty and our pens busy.